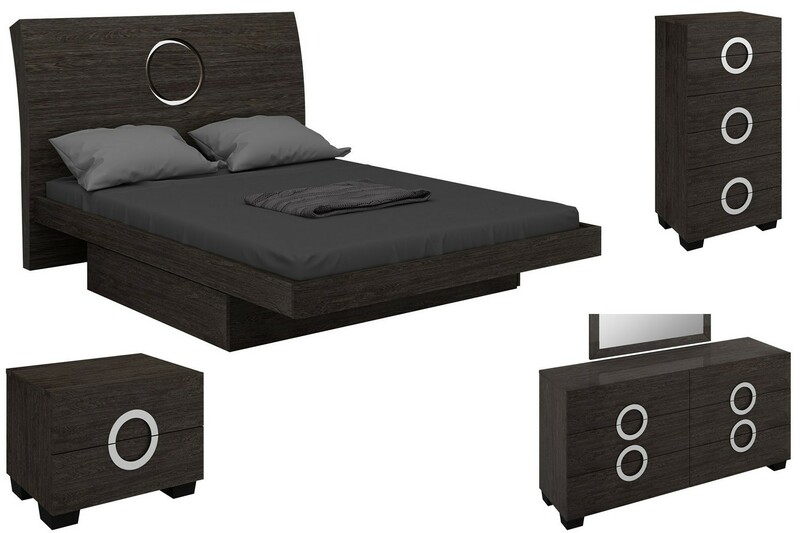 Monte Carlo bedroom set is perfect for any contemporary space and brings unique modern style to any home. It comes in durable grey lacquer finish and can withstand heavy use without visible scratches. Platform bed is available in queen, standard eastern king and California king sizes. No box spring is needed. Smooth opening drawers with round silver handles on dresser, nightstands, chest and entertainment unit.